James Dorminy of the Reedy Creek Fire Department and Joseph Demarinis of the Clermont Fire Department died last year. They will have their names engraved on the Fallen Firefighter Monument. Chief Financial Officer Jimmy Patronis says Floridians shouldn’t forget the ultimate price many of the state’s first responders have paid. "Let us celebrate the achievements, the successes and the triumphs as we gather here today to honor these men. Let us never forget those who have risked it all, who have given their lives for the pursuit of the safety for every one of us," says Patronis. Although both firefighters died for reasons unrelated to posttraumatic stress disorder or suicides, the improvements to the workers’ comp bill will give first responders more opportunities to improve their mental and physical health. Patronis says, "the suicide rate among our first responders is five times normal population. Nine times more have considered suicide, so it’s a hidden killer in the profession." Representatives approved the bill Monday and it heads to Governor Scott’s desk. 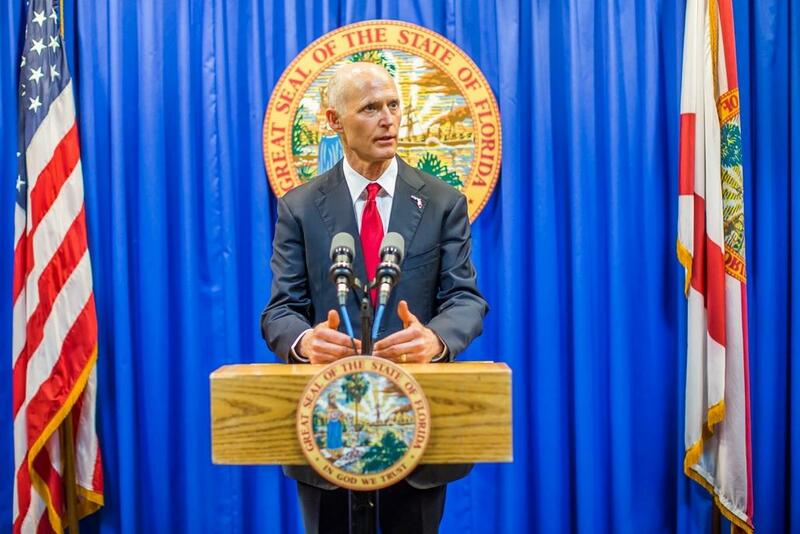 Scott says he hopes that Florida doesn’t lose any more firefighters. "I want to thank the CFO and I want to thank the Florida Legislature. They worked hard this year to pass Senate Bill 376. It’s a continuation of this state’s support of first responders and their families. I intend to sign it as soon as it makes it to my desk," Scott says.